Ah the final week of the year and that means it’s crunch time. If you still haven’t decided what your New Year’s resolutions will be you better get on it. Each year we make our resolutions and very few of us will actually keep them. We pledge to lose weight, go to the gym more often, quit smoking and make more of an effort to call Mom. But these are difficult missions to keep. Maybe part of the tradition of New Year’s resolutions is seeing how long we go until we bounce right back into our old habits. Well, here’s some helpful advice for you this New Year’s. In addition to making a commitment to more exercise and eating healthy, why not make a New Year’s resolution to get Lipo too? You’ll feel better about the way you look (in the mirror and to your significant other, family and friends) and you’ll become more eager to keep that amazing beautiful figure. Dr. Michael Gray at the Michigan Cosmetic Surgery Center and Skin Deep Spa is offering January specials to help you make your New Year’s resolution. You’ll start 2014 off right by discussing the benefits of liposuction in a risk free consultation. You’ll look great and feel great just in time for your Spring Break vacation too! Dr. Michael Gray can reduce fat from the problem areas that are resistant to weight loss. You know, those stubborn areas that cannot be reduced simply by working out. Your fat comes out of the wrong areas, but now those areas need to be fixed to and Dr. Gray can help. Let the world renowned surgeon Dr. Michael Gray become part of your New Year’s resolution for 2014. The new year can be the year you find the new you! Visit anewyou.com today or call 248-538-3333. Dr. Gray and everyone at the Michigan Cosmetic Surgery Center and Skin Deep Spa wishes you a great New Year! Here Come the Holidays – How Will You Look in Facebook Photos? News alert… Thanksgiving is almost here. That’s right, it’s holiday season again. And while that means fun, family and food it also means PHOTOGRAPHS! There’s no way around the fact that you are going to wind up in some photos this holiday season. Gathered with friends and family on the ski slopes or by the pool in a bikini somewhere warm, rest assured that photos of your body are going to be viewed on Facebook. We guarantee it. You don’t always think about how many pictures of you are floating around the internet — some you posed for (selfies!) and others are candids in which you don’t look your best (you didn’t know someone was taking your picture?). Well, it’s not too late to have that great body so you look hot in those holiday-time photos. 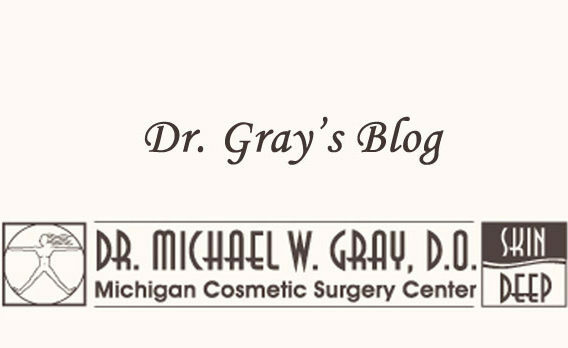 At the Michigan Cosmetic Surgery Center and Skin Deep Spa in West Bloomfield, Michigan, Dr. Michael Gray has dedicated his professional life to helping his patients feel better about themselves. 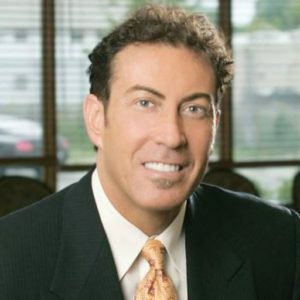 He does this through highly specialized cosmetic procedures that correct the physical effects of aging — such as wrinkles, excess skin, and fat collecting and more. These cosmetic procedures help his patients look better to those around them, and in turn feel better about themselves — both outwardly and inwardly. Dr. Gray’s reputation and the gallery of “before and after” images on the ANewYou.com website speak for themselves. Dr. Gray’s dedication to the work that he does comes from a deeply held belief that life is short and you only live once! So why not be happy. Dr. Gray believes if he can help you achieve your goals he will. He offers both surgical and non-surgical methods of correction. Women want a flat belly. And if you are like 60 percent of American adults, you are carrying more belly fat than you want in the abdominal region. The spare tire is the nemesis of most men and women and it can be dangerous to your health. But when looking at the tummy, there is more than “what meets the eye”. In addition to fat, there is skin and the abdominal girth (i.e., how protuberant your tummy is and what is your circumference). Due to cultural differences, women, unlike men tend to hold their tummy in. They do this mostly unconsciously resulting in the appearance of a flatter abdomen. The reason most women hold their stomach in will never be identified other than this feat can be accomplished unconsciously to some degree without expending energy. Many women have done this so long that they don’t even realize they are doing this. Those of us who don’t hold our abdomen in will never think another human can achieve this! Why? Because it requires too much energy and effort! Do I have to be afraid of my Breast Implants?